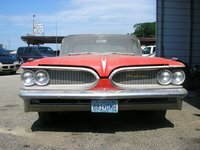 Though it first appeared in 1957 as a limited production convertible in the Star Chief lineup, the Pontiac Bonneville got its own line in 1958. Sold as a hardtop convertible or coupe, it featured a 370 block V8 engine, but had six horsepower ratings, from 255 to a NASCAR-like 355, depending on the carburetor configuration (including a Tri-Power triple two-barrel carb). Most Bonnevilles came with a 4-speed Hydramatic auto tran, though a small number had a 3-speed manual. Coming in at two tons, and fully loaded with chrome and a variety of options, it needed a powerful motor to live up to its sports performance branding. The 1958 Bonny is a classic, mainly because it was a one-time design, produced to celebrate both GM's 50th anniversary and the retirement of renowned designer Harley Earl. Celebrations call for something shiny, and the 1958 Bonneville obliged by bathing itself in chrome inside and out. Two-tone colors decorated all Pontiacs that year. The Bonny featured four headlights, indented side spears that looked like a futuristic spaceship, and its low ground clearance. "Outfitted to a man's taste in elegance," as one print ad proclaimed, the 1958 Bonneville actually came with few standard features, but a long list of options. These included a speed warning alarm, compass, rear armrest, a rare plexiglass sunvisor, the Sportable removeable transister radio, and one of the first power memory seats in automobiles. Other options included a first-ever air suspension. All convertibles came with leather seats, which was an option on the coupes. Owners and reviewers liked the over-the-top 1958 Bonneville package, with all its glitter and gloss. But the ride was smooth and the interior comfort and luxury. For collectors, the 1958 is a rare beauty. Steel body parts are prone to rust, and because of its one-off production, parts are hard to find. 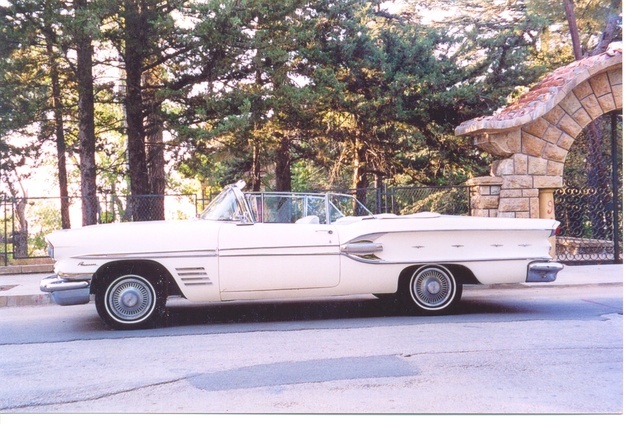 What's your take on the 1958 Pontiac Bonneville? GuruC7Z6L Probably the most beautiful car ever made in the 50s and I have a 1958 Chevy impala and corvette but I love the look of the bonaville wild bill ca. 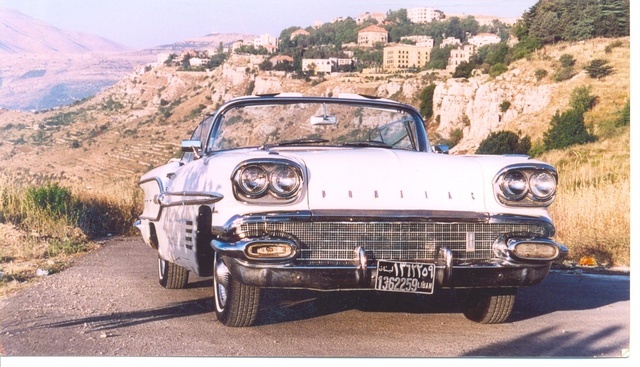 Have you driven a 1958 Pontiac Bonneville?